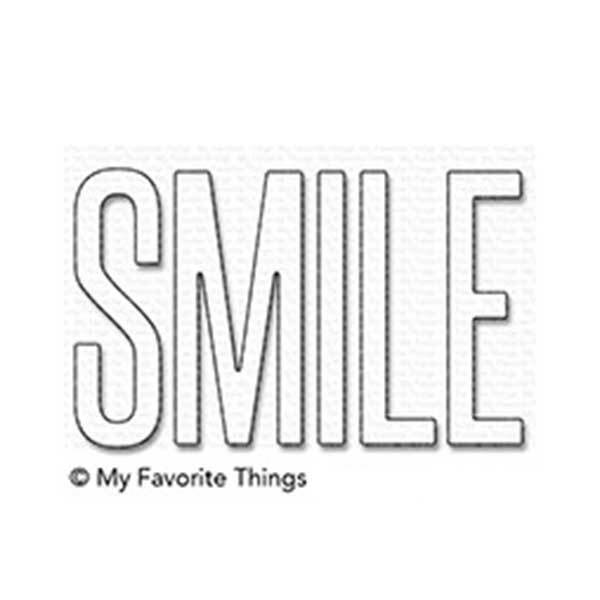 Smile die-namics by My Favorite Things. 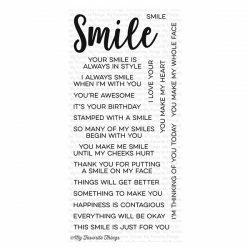 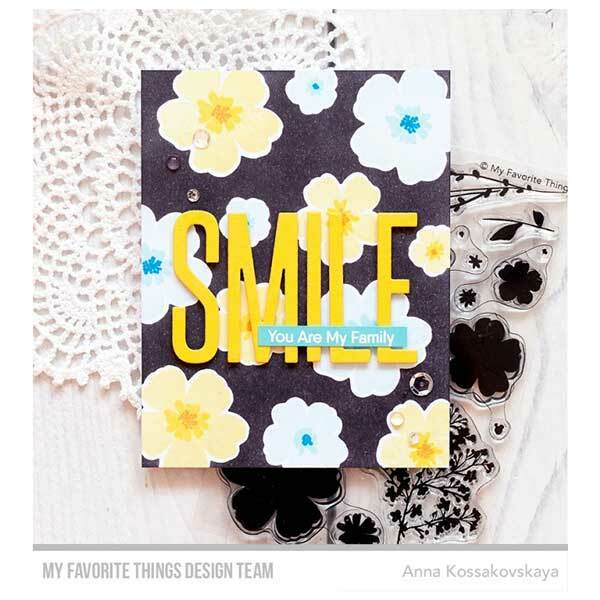 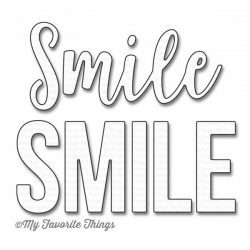 Nothing lights up a face like a big, beautiful smile…why not encourage your recipient to let their light shine bright with a note of encouragement featuring the Smile Die-namics? The tall, narrow font lends itself to a number of techniques and the generous size means you can easily showcase it making it the star of your card. 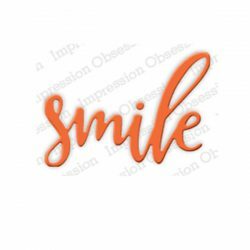 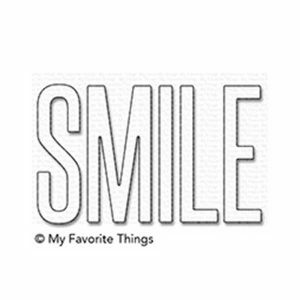 The Smile Die-namics measures 3 3/8″ x 2″.